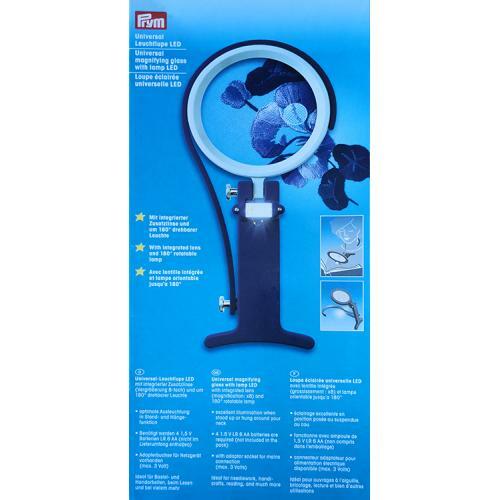 Universal magnifying glass with lamp LED with integrated lens (magnification x8) and 180-degree rotatable lamp. 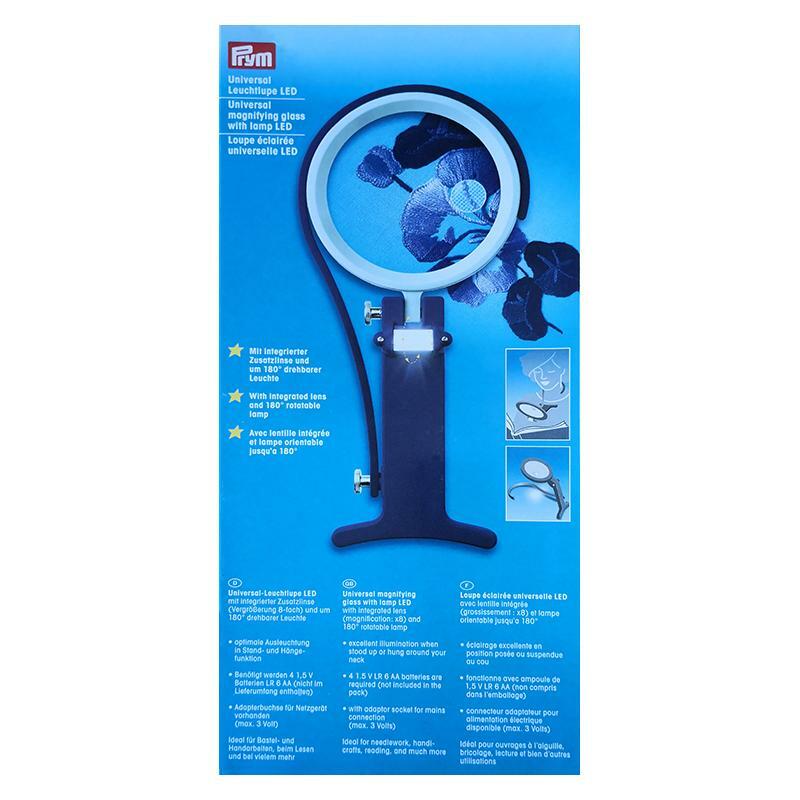 It is very useful when embroidering, reading and work requiring a good view of small details, and the LED lamp, thanks to the rotation optimally illuminates the work surface. The lamp is powered by 4 1.5 V LR 6 AA batteries, which are not included.